The Eagles parade will begin at 11 a.m. at Broad Street and Pattison Avenue, near Lincoln Financial Field, and end at the steps of the Art Museum of Philadelphia. 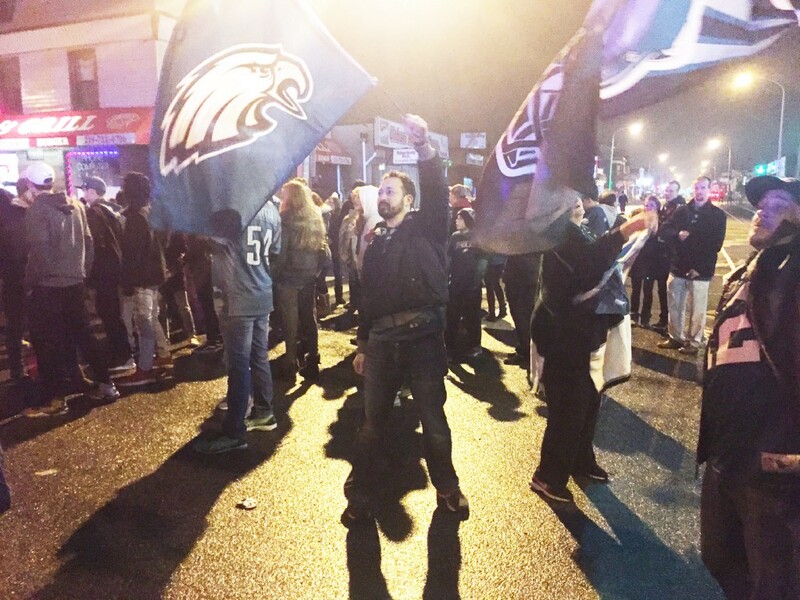 Eagles fans celebrated Sunday night’s victory in Super Bowl LII in living rooms and bars across the Northeast, and of course at places likes Frankford and Cottman avenues. Now, after three days of savoring the Lombardi Trophy finally coming to Philadelphia, fans are anticipating the official celebration on Thursday. 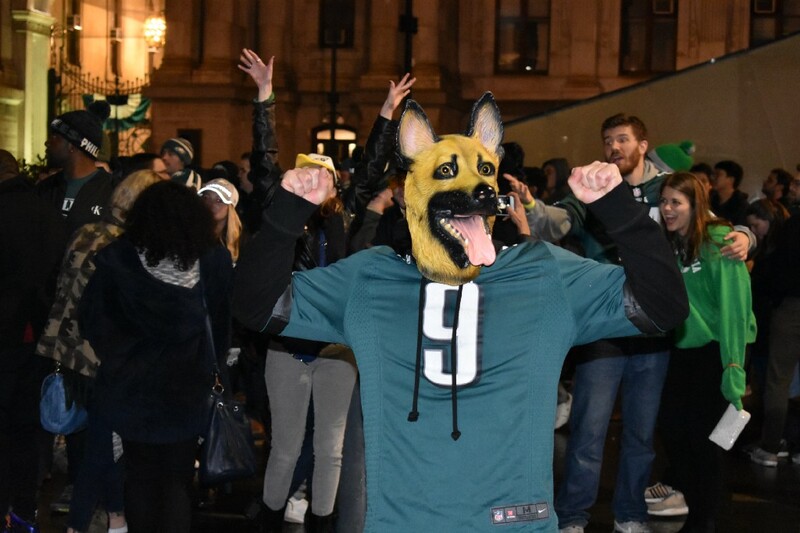 The parade will begin at 11 a.m. at Broad Street and Pattison Avenue, near Lincoln Financial Field, and end at the steps of the Art Museum of Philadelphia. The parade route will go north on Broad Street before winding its way to Benjamin Franklin Parkway. A formal program will take place in front of the art museum at 1 p.m. Video screens and other attractions will be placed along the parade route. If driving into Center City, visit the Philadelphia Parking Authority’s website at philapark.org for a list of parking options. SEPTA, in a partnership with Independence Blue Cross, will be offering free service on the Market-Frankford El and Broad Street Subway. Trains will run every five to seven minutes, starting at 5 a.m. Go to septa.org/eagles for a list of stations that will be open. The city will not collect trash on Thursday, and will go to a holiday schedule for Friday and Saturday. To plan for the big day, sign up for free text alerts by texting ReadyEagles to 888–777. For those unable to make the parade, it will air live on NBC10 and NBC Sports Philadelphia. The Archdiocese of Philadelphia, citing street closures and heavy demands on public transportation, will close schools in the city on Thursday. To be fair to students in the suburbs, those schools will be closed, too. 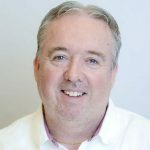 “If the great boxer Jimmy Braddock was the ‘Cinderella Man’ — an underdog, implausible winner — the Eagles are the Cinderella Team, a whole organization of character, courage and refusal to quit. God bless them all, and their families, and the wonderful city (our city) they call home. Congratulations to the Philadelphia Eagles on their incredible victory in Super Bowl LII,” said Archbishop Charles J. Chaput. William Hite, superintendent of the School District of Philadelphia, announced that public schools will be closed to give students, teachers and families the chance to witness history. “The excitement of the Eagles’ first Super Bowl victory is a once-in-a-lifetime event. Enjoy the parade,” Hite said. City Council canceled its regular Thursday session. The Eagles were underdogs in all three playoff games, beating the Atlanta Falcons and Minnesota Vikings to reach the Super Bowl, where they toppled the New England Patriots, 41–33. 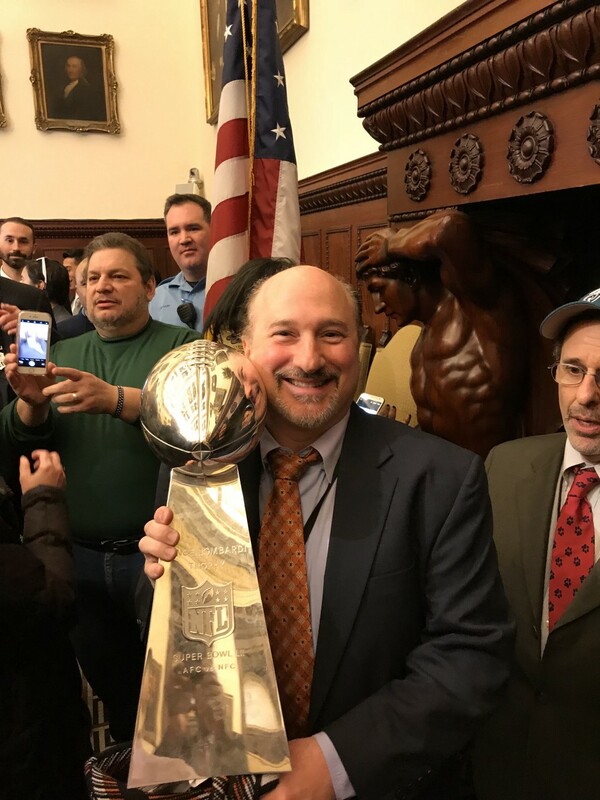 Gary Grisafi, a Castor Gardens resident and aide to City Councilman Al Taubenberger, poses with the Lombardi Trophy at City Hall. The victory led to celebrations at places such as the Leo Mall, Roosevelt Mall, the Five Points intersection in Burholme and Frankford and Cottman. The weekend got off to an exciting start on Friday with a pep rally outside Factory Donuts in Mayfair. 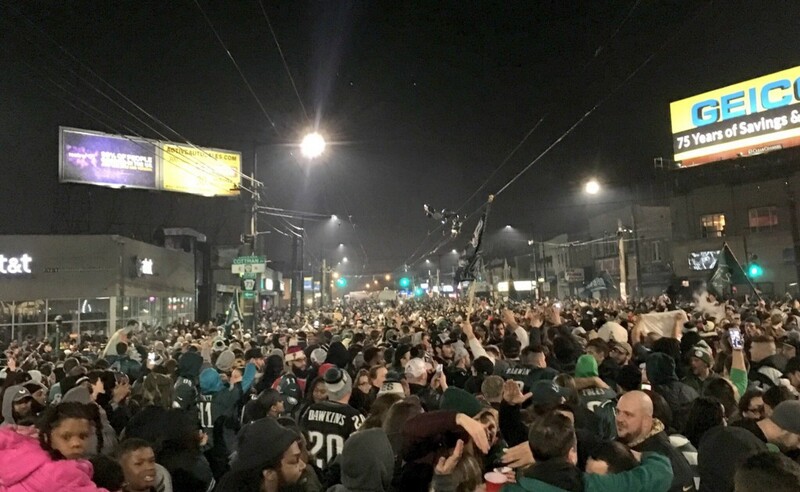 Marc Collazzo, executive director of the Mayfair Business Improvement District, estimated that more than 30,000 people were at Frankford and Cottman two nights later. He thanked Capt. Anthony Luca, commander of the 15th Police District, and all other officers for helping to make the celebration safe and joyous. He recognized businesses and tavern owners for taking all necessary precautions to promote order and safety. He also cited the work of Jim Berghaier, of the Mayfair Community Development Corporation; the Ready, Willing and Able cleanup crew; Dan Lutz Contracting; and SEPTA.